What If We Made Disciples And Left Church Growth To God? If we prioritized health, not as a means to growth, but as an end in itself, would we be in a greater position to represent Jesus to the world? Imagine all the time, money and resources that have gone into church growth in the last generation. Is it naïve to wonder what the world and the church would look like today if all that effort had been invested exclusively in church health instead? Is it possible that if the church had prioritized health, not as a means to growth, but as an end in itself, we would be in a greater position to represent Jesus to the world? We’re often told that one of the reasons so many churches remain small is lack of faith. But I wonder… Could it be that the reverse is true? Might our obsession with bigger and bigger churches be rooted in a lack of faith? Might our obsession with bigger and bigger churches be rooted in a lack of faith? Are we afraid that God might not do his part (building his church) if we simply stayed faithful to do our part (making disciples)? Is it possible that the glut of church growth books, seminars and classes in the last few decades has been our attempt to help God out? I’m not against big churches. Or church growth. I’ve been blessed by big churches and I want to see every church grow. I’m just wondering out loud if all our church growth strategies have diverted – or at least diluted – our limited resources away from what should be our main priority. Making disciples who produce healthy churches, no matter what size they are. Maybe. Maybe not. But the question at least needs to be considered. Many pastors are asked to do all that and more, often as a second job, sometimes with no permanent facility. And even if they manage all that, they’re still considered a failure by many people if the church doesn’t also hit certain benchmarks for consistent numerical growth. It’s a burden few people can bear. No wonder so many pastors burn out and leave the ministry every year. 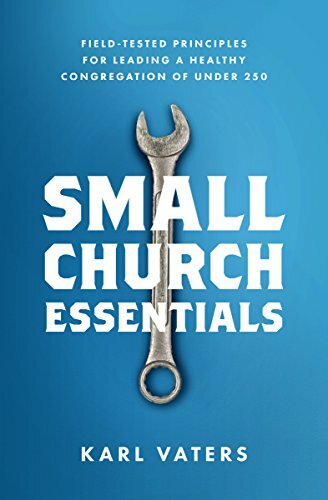 What if we’d spent at least some of our time in the past few decades preparing ministry students for the likelihood that they’ll be pastoring a small church for some, if not most of their ministries? What if we’d taught them how to pastor those small churches well, instead of pushing them to make the church bigger? What if all the money that’s been lost in failed building projects and big events had gone into local church outreach and quality ministry?